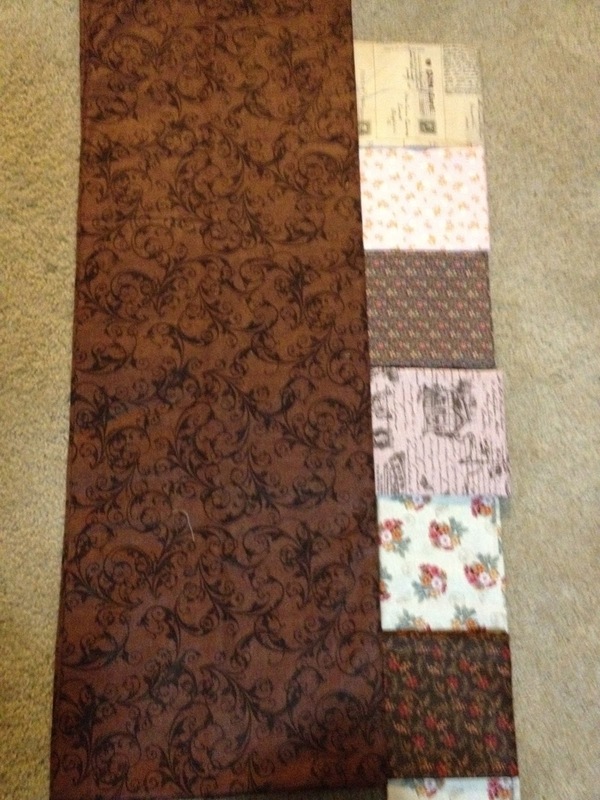 Hooray for the Free Motion Quilting Project. It's keeping me motivated to get on the machine at least once during the weekdays, even if the week's been crazy. The chemistry unit is up and rolling, parent night is over, and so tonight, I enjoyed quilting the pointy paisley pattern! I really struggle keeping my straight lines from curving, but I feel like it lets me practice the consistency of my stitch length a bit more than the curved line designs do. Such a great geometric texture! I also got some fabric in the mail. I was going for something soft, old-timey, and neutral. How'd I do? Is it too boring? Great quilting! 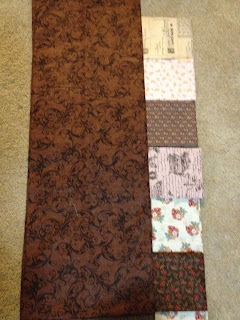 I've also gained a lot of inspiration from the Free Motion Quilting Project--it's such a wonderful resource, isn't it? Good for you for practicing!! I love the gold thread against the blue background. So striking! Your quilting looks fabulous! I love how well you made the triangle paisley fit together. I think you're pointed paisley looks fabulous! Seriously- the thread color makes it really pop. Awesome quilting! Thanks for linking up to wip Wednesday last week, where I had the pleasure of guest-hosting!